The CData JDBC Drivers can be used in any environment that supports loading a JDBC Driver. 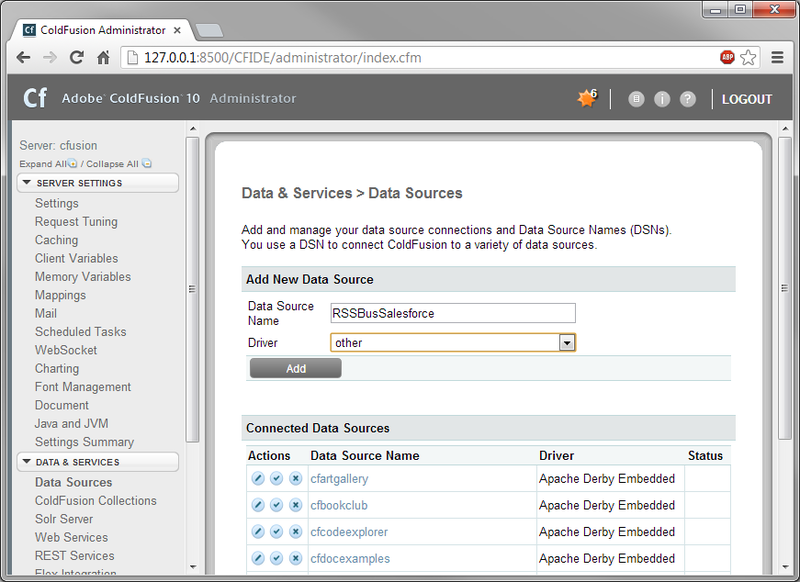 In this tutorial we will explore using the CData Salesforce JDBC Driver from within ColdFusion. 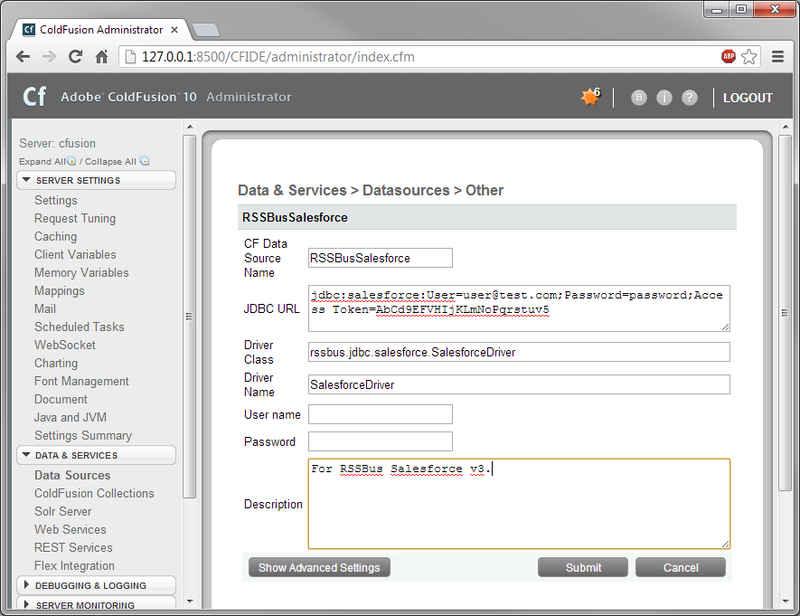 To begin, this tutorial will assume that you have already installed the CData Salesforce JDBC Driver as well as Adobe ColdFusion v10, and that you already have a Salesforce account and access token (See our forum for more details about getting an access token). 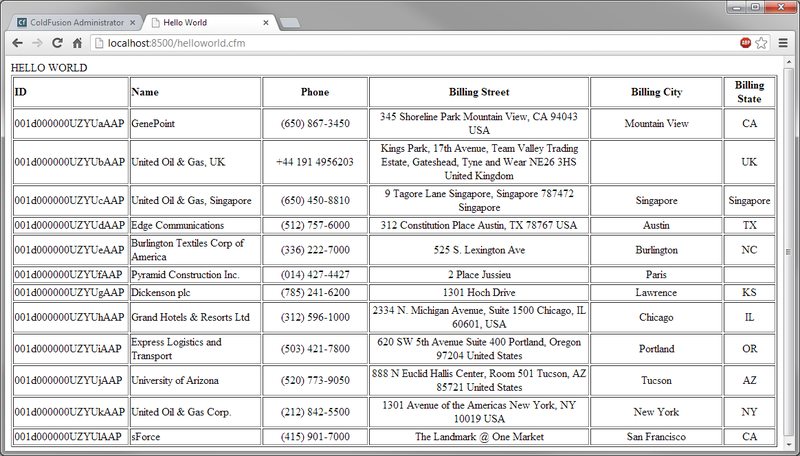 Copy the Salesforce JDBC Driver and lic file from "C:\Program Files\CData\CData JDBC Driver for Salesforce V3\lib" to "C:\ColdFusion10\cfusion\wwwroot\WEB-INF\lib". 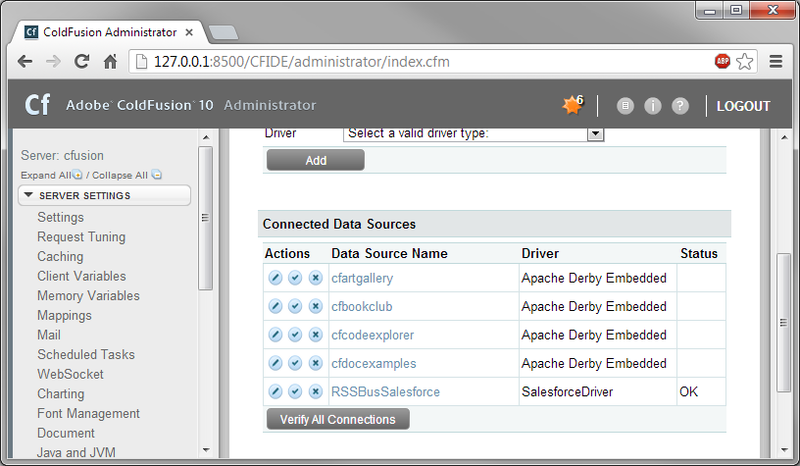 Add the CData Salesforce JDBC Driver as a data source.